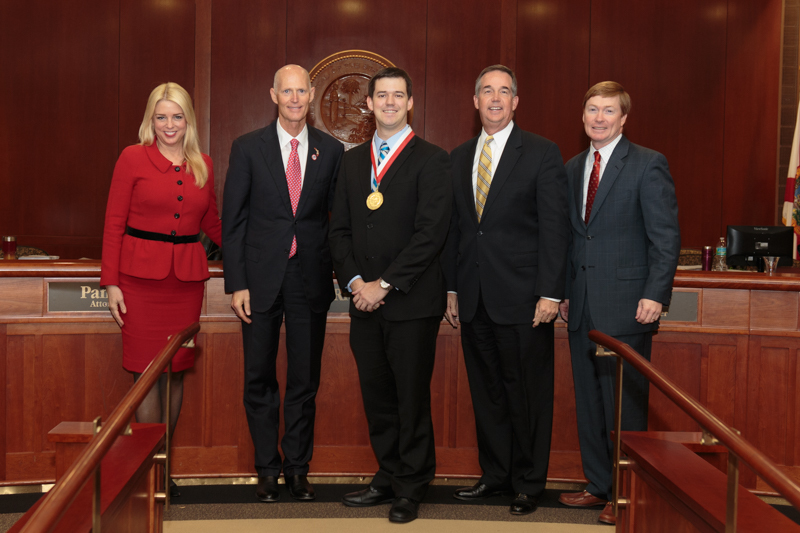 A co-founder of Gainesville-based drone manufacturer Altavian, Inc. was recognized by Florida’s governor this week with the Young Entrepreneur Award. Thomas Rambo was an aerospace engineering graduate student at UF when he and several classmates took an entrepreneurship class through the Engineering Innovation Institute and began to develop a business model. He is also an alumnus of UF’s Engineering Leadership Institute. Altavian garnered a lot of attention in 2014 when they secured a $4 million contract with the U.S. Army. They have expanded nationally and created 30 new jobs in Florida.